The next match up in the “Diet Dew Challenge” series pits Diet Voltage versus Diet Typhoon. Voltage was the selected winner of the very first Mountain Dew “DEWmocracy: Collective Intelligence” promotion back in 2008, now its Diet form is part of this new challenge promotion. Typhoon as most Dew fans would know was part of the recent second Mountain Dew “DEWmocracy: Collective Intelligence” promotion this year and was the runner up, losing to White Out. Diet Voltage Mountain Dew is a beverage flavored by raspberry citrus beverage with ginseng. Diet Typhoon Mountain Dew is a beverage flavored by strawberry and pineapple mixture. Both beverages poured well into my glass and both have a distinct smell to each of them that you can detect from without having to get to close to the glasses. 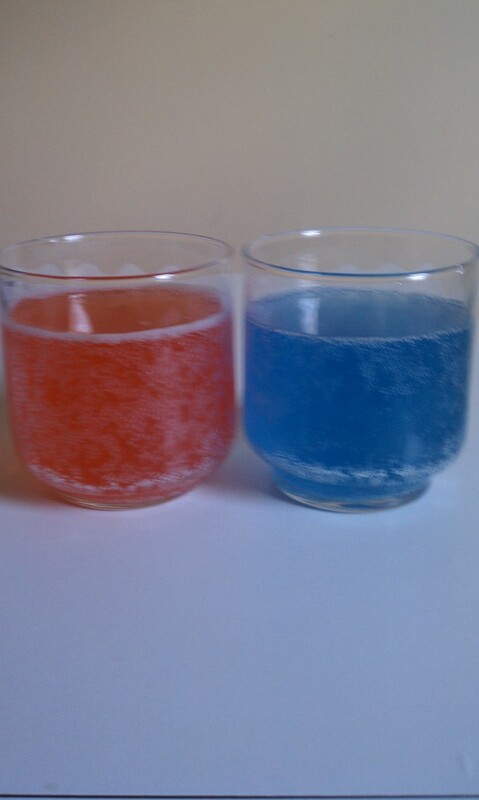 Voltage has a clear deep blue color and Typhoon has an orange-red color to it. Both have very high carbonation and are very eye appealing. Voltage has a very nice raspberry flavor with a very crisp refreshing sour finish. The flavor is complex and you can subtly taste the bitter ginseng. It has an effervescent effect on the nose and palate. It is still a delicious drink even in its diet form. Typhoon reminds me of two things. The first taste you get a pineapple lifesaver flavor to it. The finish is more like a Hawaiian punch. I enjoyed it but, I feel there is a slight balance issue between the strawberry and pineapple. The pineapple is so strong that it tends to overpower the strawberry taste under the very, very end of the gulp. That was the same issue I had when I tried it during its DEWmocracy run. I think the winner very slightly for this round is voltage because in the end the pineapple overpowered a very good strawberry taste. I will say as a frequent diet drinker I would purchase both these if the two made it to market.